We talk to Y5 student Dom’s grandparents. 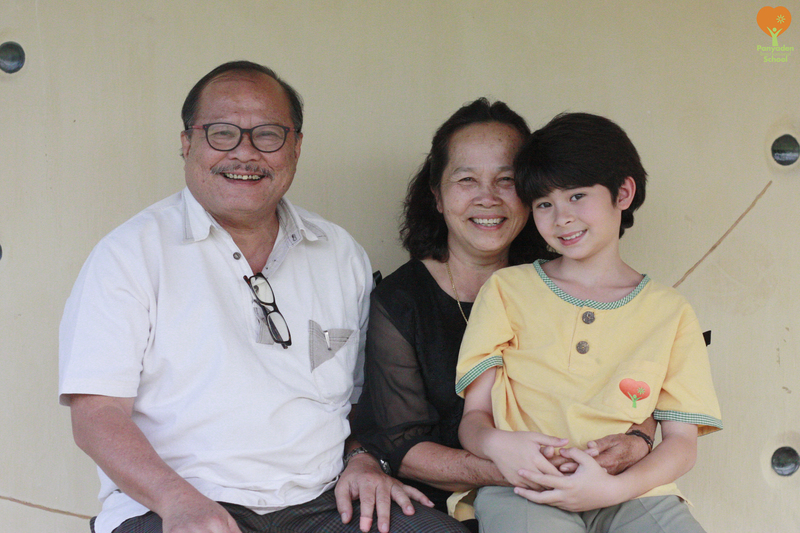 Although they live 30 km away, Grandpa feels that Panyaden is the right school for his grandson because of our vision and green environment. Click on our school newsletter link to read the article in Thai. This entry was posted in Featured Posts, Interviews and tagged green environment, newsletter, Panyaden, Thai.